Welcome to the New YOGi Website! If you are a current member of YOGi Cycling, and have not yet received your user name and password, please contact us here. There is now a handy Site Guide available from the main menu bar under the “YOGi Info” heading. Could you please ensure that your displayed name remains your full name. 21 Responses to Welcome to the New YOGi Website! Just like to say well done to Graham on creating the new website, he’s put in a tremendous amount of time and effort and done a great job. The new site should be able to cope with the huge amount of traffic we get and be more reliable. We do need more mountain bike articles but in order to publish them we need you mountain bikers to write them – so don’t be shy, send them in. Well done Graham, our new website is amazing. Just to reiterate the above comments Graham. Well done. Great job Graham, it looks fantastic and is something else YOGi can be proud of. Thanks for a great new site. Looks good, easy to navigate and lots of information and links. The chain links browser background works really well too. A job well done. Quality site now shows a lot of very hard work has been done on this site well done !!! Thanks for the positive comments; Graham’s done us proud. Just one thing don’t forget that you must use your proper full name in order post; this is so that everyone can see exactly who is posting. Thanking you all. Well done Graham, I come back off holiday to a brand new Yogi website , and Im sure everyone will appreciate the hard work you ve put into it, Well done! Many thanks Graham for the time and effort in creating a new site, good choice of picture at the top, looks really good. Thanks Ross. If you look in the “categories” section in the sidebar, you’ll see there is a category “Rides & Event Reports”. All posts with that category in it will be filtered when you click on it (that was how it was done on the old site too). The older ones are still on the old site so there aren’t that many here yet. Just about to do it, Insure if i shall fit my head in a 1×1 square – I’ve been scoffing since tonights ride! Great site Graham 🙂 How do I change my profile pic? have a look at the “Avatar” section in our Site Guide (also available on the top menu under YOGi Info). What a fantastic web site. Looks really professional, easy to navigate with sooooo much information available. 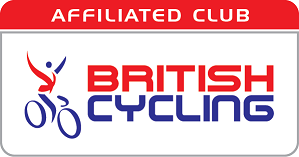 If I was looking to join a club in this area, hell, if I was in Scotland and stumbled across this site it would certainly encourage me to come along to one of the rides………ok………maybe not Scotland! Not that Scottish cyclists are not welcome of course or in fact anyone outside the Plymouth area……..I’ll shut up now…………. Well done Graham……….credit where credit’s due. I’ve been using the site for while now and I have to say it’s great!!! well done mate a lot of effort must have been put into it. Everyone I speak to says the same. It must be good because even the MTB side of the club are using it.